Print plays a key role in marketing for the year and our key publications remain well supported by our members. We focus on 5 key publications each year with our holiday guide being the flagship publication for The Lake District, Cumbria. To book your business into any of our publications, please get in touch with the Marketing team on publications@cumbriatourism.org or by calling 01539 822 222. The ‘Holiday Guide’ focuses on Cumbria as a world-class destination. The only official brochure to showcase what the whole of our beautiful county has to offer, the guide gives you a chance to reach our readers with information about your business, by featuring editorial and imagery to capture their imagination. A reference on everything from places to stay, and where to eat, to heritage, culture and outdoor adventure, the Holiday Guide will inspire the spontaneous day trips and inform on well planned holidays. Published December – 120,000 copies. 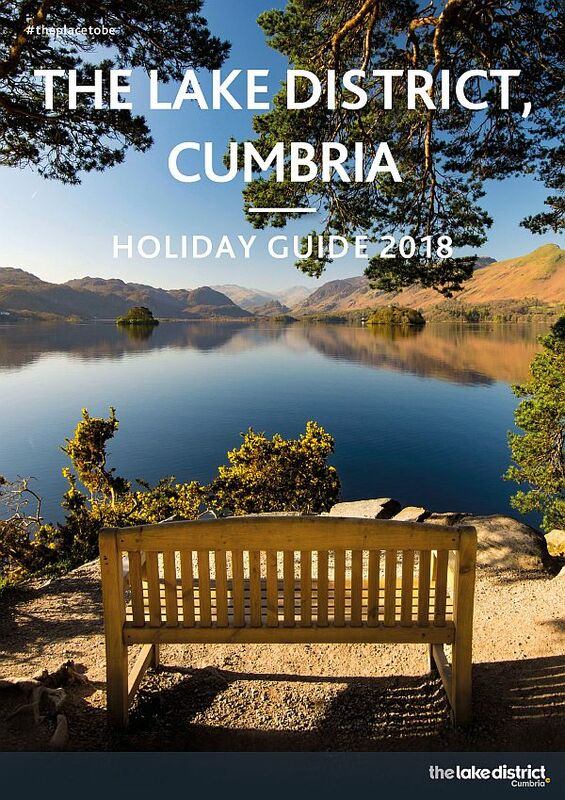 The largest distribution of any guide in Cumbria, at a staggering 420,000 printed copies, the Attractions Guide is a user friendly, pocket size display of the best ways to experience this world class destination. Filled with top attractions, on outdoor adventure, and indoor workshops, to museums and galleries, or castles and wildlife, this guide is a wonderful opportunity to promote your business. Available in 6 languages, it will leave any reader, domestic or international, eager and enthusiastic for their time in the county. The guide also plots each attraction on the included map, making it as easy as possible for the user to find and enjoy their great day out. Published December – 420,000 copies. Food tourism is worth an estimated £574 million to the Cumbrian economy and the Cumbria Tourism Food & Drink Guide is the perfect platform to promote your business. The guide showcases food right across the county, from small cafes and artisan producers to foodie pubs and Michelin-starred restaurants. Content also includes a full calendar of Foodie Events, interviews, award winners, and general tourist information to help readers find their food. (Published September – 30,000 copies). 2017 saw the exciting new publication of the Adventure Guide, promoting the Lake District, Cumbria as the UK’s Adventure Capital. This guide gives you a unique opportunity to advertise to the adventurist, from the adrenaline junkie, to the outdoor exploring family. Grouped into clear categories, your business can be promoted, from ‘Water’, ‘On Wheels’ to ‘Retail and Gear’, making the guide easy to explore. ‘Dogs Love Cumbria’ is the newest addition to join our print family. The guide covers everything you need for experiencing this beautiful region with a canine companion by offering the reader, and their furry friends, a delightful number of options on the best places to eat, sleep, shop and visit. Content also includes ‘Doggy Etiquette’, advice and information for our readers confidence on exploring the county with their dog.